The New Gothic is a collection of unsettling tales, including a story by horror grandmaster Ramsey Campbell, that seeks to regain gothic territory ceded to defanged vampires and bantering demon hunters. It's an ambitious undertaking to revise the definition of gothic literature. What exactly "gothic" is has been under revision and argument since the term was first coined. Does a story need a spooky castle to be gothic? How about a doomed romance? Is some supernatural element required? 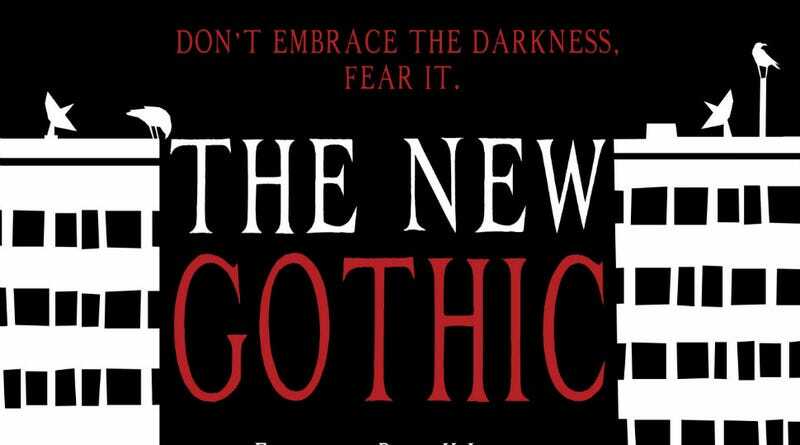 The New Gothic takes the angle that the gothic pendulum has swung a bit too far in the direction of romance. "Don't embrace the darkness. Fear it," reads the book's tagline. The New Gothic: Don&apos;t Embrace the Darkness. Fear It. I'm not too worried about whether this collection redefines the field. What I can tell you is that editor Beth K. Lewis and the team at Stone Skin Press have selected a terrific set of stories. They hang together, despite disparate elements; each tale hints at the darkness lurking in urban neighborhoods, in old houses, on desolate roads, and in our hearts. Cue Vincent Price's menacing laugh echoing down a black corridor. There are no castles here, but there's no sympathy for the devil either. Things get off to a terrifying start with Jesse Bullington and S.J. Chambers' "Dive in Me." It pushes so many horror buttons, from the crushing insecurity of youth to the simple fear of drowning, and it builds to a stunning climax, the kind where you're sort of breathlessly turning each page as your eyes gradually get wider and wider. This one will stick in my head for a long time. It's no insult to say that no other story in the book quite reaches the heights of "Dive in Me," because it's that good. Ramsey Campbell's "Reading the Signs" is obviously a big selling point here, and it's a great story. It takes the common experience of being a bit lost in a strange town on a lonely road and makes it extra strange. If you're the type who hesitates to stop and ask for directions, it only confirms that you're right. Just keep driving. "The Vault of Artemas Smith" by Phil Reeves is one of the more purely Lovecraftian stories I've read in a while. Lots of stories lay claim to that adjective, but Reeves' narrator delves into dark places where unseen things shuffle in the dark, creating creeping horror and tension in the absence of any cosmic mythos. You'll find a handful of stories about weird families, and I can't think of a more gothic literary tradition than that. Damien Kelly's "The Whipping Boy" is about family tragedy and magic (one leads to the other, it seems); Laura Ellen Joyce crafts a dark, disturbing story of medical obsession and mental illness in "The Death Bell"; Steve Dempsey's "No Substitute" takes an oddly optimistic look at cannibalism; and "Viola's Second Husband" by Sean Logan features a strange old grandmother within a very traditional gothic framework. Two other stories really stood out to me. Dmetri Kakmi's "The Boy By the Gate" is a classic ghost story. It's predictable in a way, but it's still damn scary and offers up some terrifying images. "The Devil in a Hole" by Mason Wild is a simple story that piles tragedy upon tragedy, ending with a literal pile of corpses. The imagery will stick with you for a while. Are these stories as purely and technically gothic as, say, The Castle of Otranto or Frankenstein? No, and they'd feel silly and dated if they were. But in their pervasive gloom and aura of creeping horror, they do an admirably gothic job of scaring the reader. The New Gothic is keeping a spot on my anthology shelf, to be brought out on those nights when I want to peer into the darkness for a while.